Copyright 2011-3011 By Alternative News Forum, All Rights Reserved. On March 19th the Moon Will Be Closest to Earth in 18 Years: What Will This “Super Moon” Bring? Cited: On March 19, Earth’s satellite will be at its closest point to our planet in 18 years — a mere 356,577 kilometers away. The event — also called a lunar perigee — was dubbed a “super moon” by astrologer Richard Nolle back in the 1970s. The term is used to describe a new or full moon at 90% or more of its closest orbit to Earth. Next week, it will be at 100%. Blue moons, harvest moons, new moons and now “Super Moons.” Although scientists are quick to disregard anticipated possible natural disasters that might arise out of such a “Bad Moon Rising” next week on March 19th, what do scientists really know? Did any scientist have even the slightest idea what was coming on March 11th in Japan? With all of our sensors and seismographs, our high technology and HAARP electromagnetic weather modification, mother nature still always seems to have the last laugh. A spiritual Higher Power is in charge, and that Higher Power is now shaking the world. It just happens to be utilizing the near orbit of an unknown and undocumented celestial object to do so. And the western nations ARE NOT reporting anything that even remotely resembles the truth on this topic of “unidentified celestial objects”, or UCOs, [my own term], because they fear to admit they really do not know exactly how to prepare the hearts and minds of mankind for the terrible news to come. There is really no defense against a global geo-crustal pole shift induced by the close fly-by of a colossal celestial object, possibly a brown dwarf that may be an ugly binary twin to our own sun, traveling on a 3600 year deep orbit, that runs nearly vertical to our own orbit, making it extremely difficult to locate this object unless one is doing so from a south pole location. I continue to maintain that the gravitational pull of a mysterious unidentified celestial object which is now closing in on closer proximity to planet earth in her orbits, is the culprit and is liable for the sudden increase in sink holes, massive earthquakes, the utterly unheard of new phenomenon of the splitting open of the earth itself in sundry locations, global weather aberrations, and the increase in global warming. Add to these pole shift warning signs, the rise in strange water spouts pouring from trees as the water tables shift around, the occurrence of tornadoes in new places where they have never occurred and a host of other signs, and the evidence continues to pile up. The earth is screaming her warnings. The astute, the wise, the intelligent who refuse to be placated by the American nay-sayer news media, are already well along in making smart survival preparations. => How many routes out of your town or city are you familiar with and do you have them committed to memory? => How will you communicate with loved ones if electricity is out and all satellite communications are down? => Do you keep a full tank of gas in your vehicles in the event of a sudden evacuation? => Do you keep a “bug out bag” packed and sitting by the door? => Do you keep at least 2 weeks of food and water stored in your home, preferably more than that? => Do you keep a 90 day supply of any vital medications that you must take, not matter what? => Have you given thought to where you and your family would meet in the event that something happened, you became separated, and you needed to find each other? => Does anyone in your family have the necessary skills to provide emergency first aid in a disaster? => Do you keep cash on hand at home, in case banks and ATMS are closed for an extended length of time? An electromagnetic pulse wave bomb is detonated, which wipes out all electricity on the east coast from Maine to Florida. Banks, ATMs, and all electronic devices are rendered useless. No cell phones will work, cars will not start, computers and laptops, Ipads, Iphones, Smart Phones, they are all useless. What will you do? How will you cope without your beloved electronic pacifier? Are you healthy enough to get on a bicycle and ride out of town with a small backpack on, and do you know where you are going and who will meet you there? Will you have enough cash on hand to carry you through such a crisis? I don’t think it’s foolish at all to ask these kinds of questions and NOW would be a good time to begin asking them. Those who take the time to make some calm intelligent contingency plans will survive, while others will fail to know how they should proceed if they have not given these disaster related options some thought. While you are pondering the coming Super Moon, spend some time pondering your next level of super-preparedness training and get your whole family involved. We do not know what mother nature is going to do next. 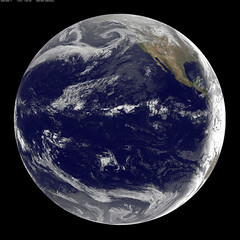 Our earth is under incredible strain and pressure from the gravitational tug of the coming mystery object [ that no one will admit is there, yet thousands are video-taping it daily ] named variously Planet X, Eris, Tyche, Nibiru, The Destroyer, or the Winged Disc. Listen to your gut, because your gut is screaming at you to GET READY. Don’t wait. Get prepared, then tactfully, discreetly help your neighbors to get ready too. The goodwill you will gain will come in handy later. Copyright Alternative News Forum 2011-3011 All Rights Reserved. There have been 1200 seismic events in China in the last 90 days. On Thursday in Japan a 7.9 quake and an 8.8 quake struck followed by a catastrophic tsunami in the early afternoon on 3.10.11. Videos covering this event are posted below. This is breaking news and this post will be frequently updated. I was evacuated from Crescent City California (where I was traveling on my way north to Seattle) all day today, so I am late reporting on what took place, just got back online 9:30 pm 3.11.11. The Pacific Tsunami Warning Center in the U.S. state of Hawaii said a tsunami warning was also in effect for Russia, Marcus Island and the Northern Marianas. It said a tsunami watch was issued for Guam, Taiwan, the Philippines, Indonesia and Hawaii.